Last night, Leah Sawyer and myself held a foam rolling, learn by doing, clinic at Nashville Running Company in East Nashville. 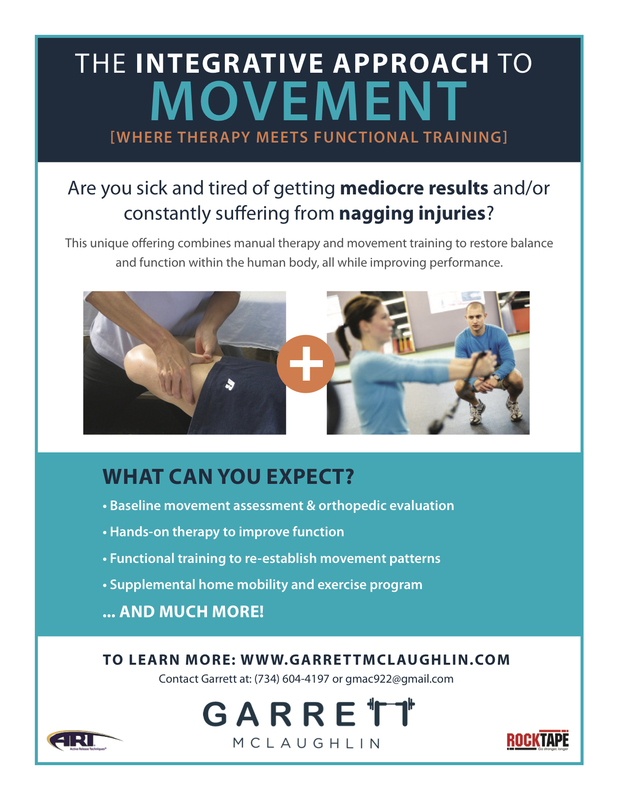 We were pleased that this event sold out a week ahead of time and was filled with people eager to learn how to better utilize the foam roller and take self-myofascial release to the next level. 1. Don’t Roll the IT Band without the TFL. Leah had a good point when addressing tightness in the IT Band. We always glorify the IT Band as a must roll because it’s role in hip tightness, hip pain, and lateral knee pain. But, how often are you getting in the Tensor Fascia Latae (TFL)? The TFL is the muscular portion that starts at the pelvis and turns into the IT Band as it courses down the lateral leg. Click the picture to better understand it’s location in the hip. 2. Tightness in one area may be caused from another. I tried to make this point as we began the clinic while using the lacrosse ball to the plantar foot. While performing the toe touch (doing a forward bend and reaching for the toes), people often can’t touch the toes and complain, “my hamstrings are tight!” While this motion is notoriously known as a “hamstring” stretch, it causes complete lengthening of the superficial back line (SBL). The SBL is a fascial line that runs from the toes, along the backside of the body, all the way to the head. Rolling a lacrosse ball on the bottom of the foot can often unwind some of the restricted tissue within this line and allow for more depth within the toe touch. If this is the case, is it only the hamstrings that are tight? This situation can be true in other areas throughout the body. Try working into the areas above, below, and along the fascial lines when you have restriction. Below is a video of Leah and myself demonstrated a release of the foot with a lacrosse ball. 3. When should I foam roll? Great question! It all depends. What are the goals you want to achieve with foam rolling? If we are looking for increasing muscle length and decreasing tone within a muscle, foam rolling done before static stretching will provide the best results. I typically emphasize this prior to a work out when we aren’t warm and the muscles overly elastic. But, foam rolling can also be done following a workout or on off-days to help improve recovery. Several studies show that foam rolling after bouts of exercise caused a decrease in perceived muscle soreness. Super sore from a workout or training run? Try foam rolling after to get your body ready to take on the next one! 4. The suboccipitals are a great area to use a lacrosse ball when suffering from headaches or upper cervical, muscular tightness. These 4 muscles (rectus capitus posterior major, rectus capitus posterior minor, superior oblique, and inferior oblique) are very active with cervical movement, monitoring head/neck positioning, and actually responding to eye movements (even when the eyes are closed). When tight and fibrotic, they can be a cause of unrelenting headaches. Therefore, they need to be addressed in your self-myofascial release routine. Watch a video on how to release the suboccipitals below. For those of you who attended our Mobility Matters clinic, Leah and I thank you! If you were unable to attend and are interested in learning more, join us for the next one on December 3rd at 7pm, at Nashville Running Company in East Nashville.